Breathtaking views, art and tradition. A thousand years of history this merges with the landscape. Dominated by its magnificent castle, the Citadel of Castelsardo now lives up the emotions of the past. The Middle Ages is expressed in the old town with a maze of streets cared by the few brave and proud people who have decided to resist the escape towards the lower part of the country. The houses of the old town are developped vertically with large stone-paved squares. Castelsardo is a reality that emerges from the past between twisted streets, stairways, artisan of the plot that you can still admire intent to weave baskets made ? ?with the “palmetto” following a tradition and drawings dating from the time of the Benedictines. 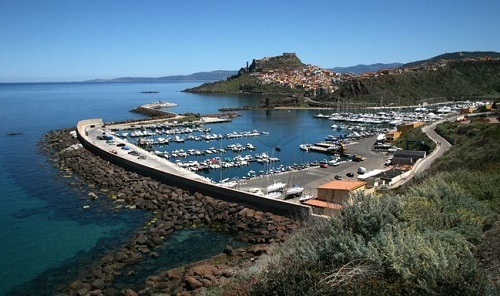 The building development of Castelsardo in recent years has been characterized by projects for all tastes (some questionable) and for all budgets. Some builders are able to sublimate the position with sea view projects perfectly integrated into the environment, others have concentrated their efforts in indiscriminate cementing ! Most of the real estate proposals are the property of type apartments or townhouses. The average areas vary between 35 and 70 square meters. A maximum of two bedrooms, with kitchen and living-related. According to the statistics of Immobiliare.it the average price per square meter fell in the last two years, to stand at just over € 2,000 sqm. But this is an average price does not necessarily reflect the claims of builders that are sometimes disproportionate, therefore, negotiable. Another possibility is to buy in the historic center. I can not deny that living in a town center requires some sacrifice, such as to forget having the car under the house. But the authenticity of the narrow cobbled streets, the intimate restaurants, and the freshness of the houses in the warm sunny days, are worth some sacrifices.